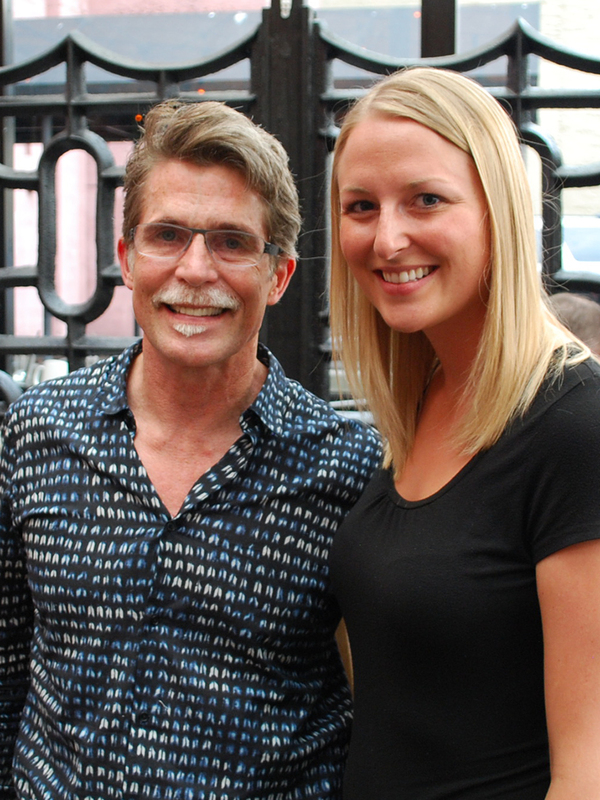 Rick Bayless is one of America’s leading chefs. As I mentioned, he specializes in Mexican cuisine and is host of PBS’s Mexico: One Plate at a Time. You may have also seen him as a guest judge on Top Chef, Top Chef Masters, Iron Chef America and countless other food television shows and publications. Rick also owns several restaurants. Most are in Chicago (his hometown), but he has a few in Los Angeles and San Francisco. Bayless is truly one of the best chefs in America right now and we’d love to see him open a restaurant in Seattle. #FoodieChats is a hashtag Twitter chat held every Monday from 8-9 PM. Each week, #FoodieChats asks Twitter users ten questions related to the week’s food topic. It’s a great way to meet other foodies, discover new recipes, and learn about the new hot spots around the world. To get an idea of how big this Twitter conversation is, here are some stats: #FoodieChats averages 15 million impressions, 1 million followers and over 300 contributors each week. That is a whole lot of foodies! 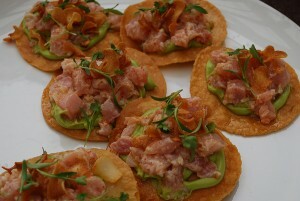 Local Albacore Tostadas at Poquitos. Poquitos is a Mexican restaurant located on Capitol Hill (1000 E. Pike St.) in Seattle, featuring authentic food with a little bit of flair. The folks at Poquitos use local meats and produce, make their own salsa and tortillas, and import key ingredients from Mexico for authenticity. The guacamole is made to order. The vibe is fun and fresh. Poquitos is a great place to meet friends and family to share a meal, appetizers, drinks or all three. While we tweeted away about our favorite Mexican dishes, restaurants and salsa, we filled our stomachs with the amazing delights at Poquitos. 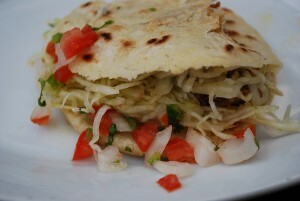 Our favorite dishes included the Local Albacore Tostadas and the Guajlillo Beef Gorditas. Guajlillo Beef Gorditas at Poquitos. The tostadas were made with albacore ceviche, avocado, lemon, shallot, chili, garlic chips and cilantro, served on a tortilla crisp. The albacore was so tasty and the lemon gave it a punch. I could have eaten all night. The gorditas were spicy and super good. They were made with guajillo braised beef, pickled cabbage and pico de gallo served in a corn masa pocket. To compliment the dishes, we sipped on Negra Modelo beer. 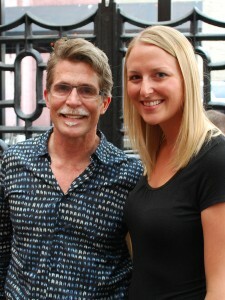 We had a great time eating and tweeting with Rick Bayless at Poquitos. We feel fortunate to have been invited to this special event and can’t wait to participate in our next #FoodieChats. Who knows? Maybe they’ll feature an entire chat about the great food found in Seattle. Hopefully, one day! Have you ever dined at Poquitos or participated in a #FoodieChats? If you could have dinner with a celebrity chef, who would it be? We’d love to hear from you! You can leave a message below or connect with us on Twitter, Facebook and Google+. 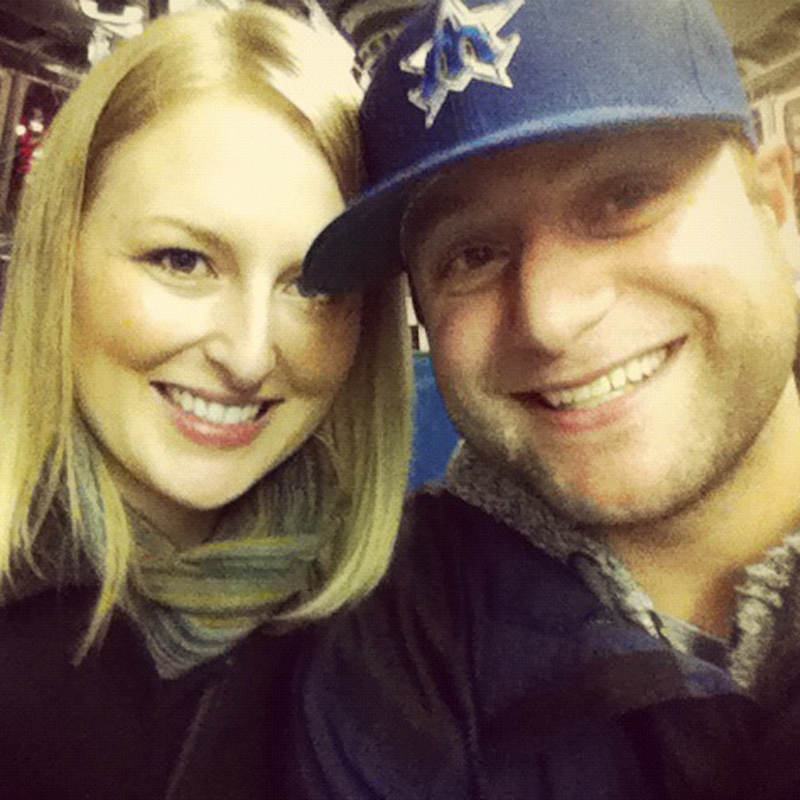 Don’t forget to also check out Seattle Bloggers for more great places to eat and drink in the Emerald City. 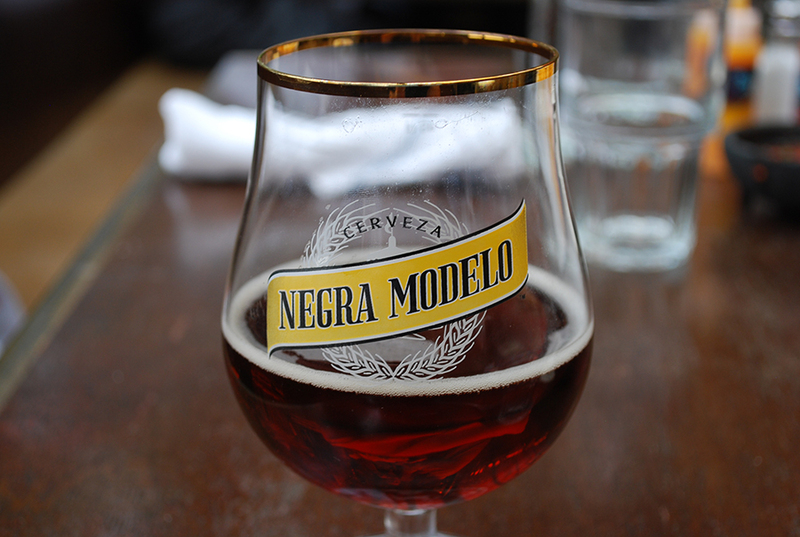 Negra Modelo beer was the perfect pairing with Poquitos food.